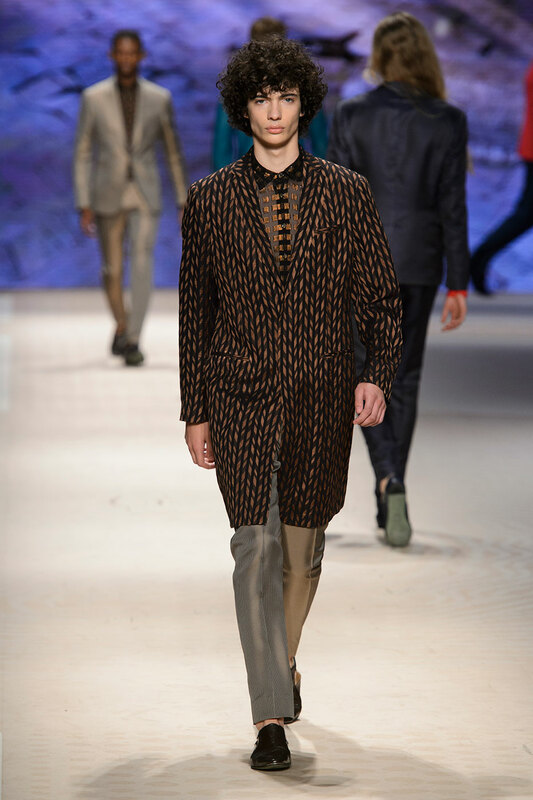 Staying true to its iconic natural image, Etro has fashioned a mystical collection inspired by the simplistic tranquility of the far-east. 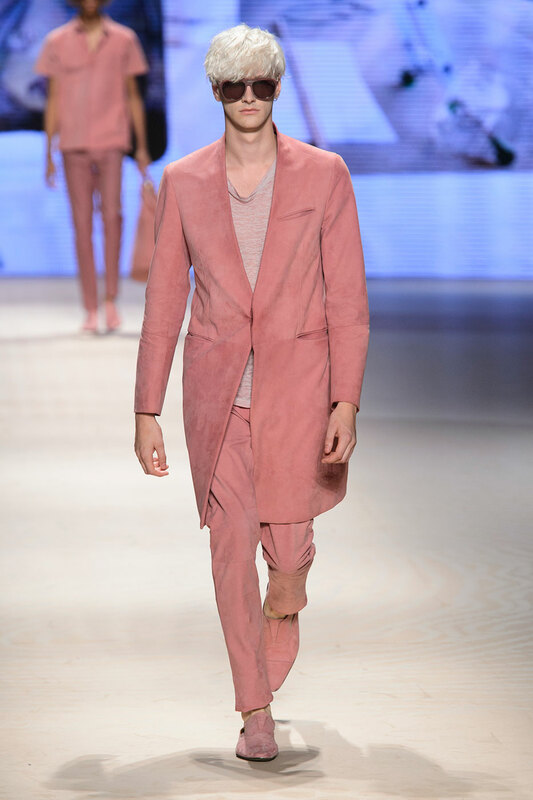 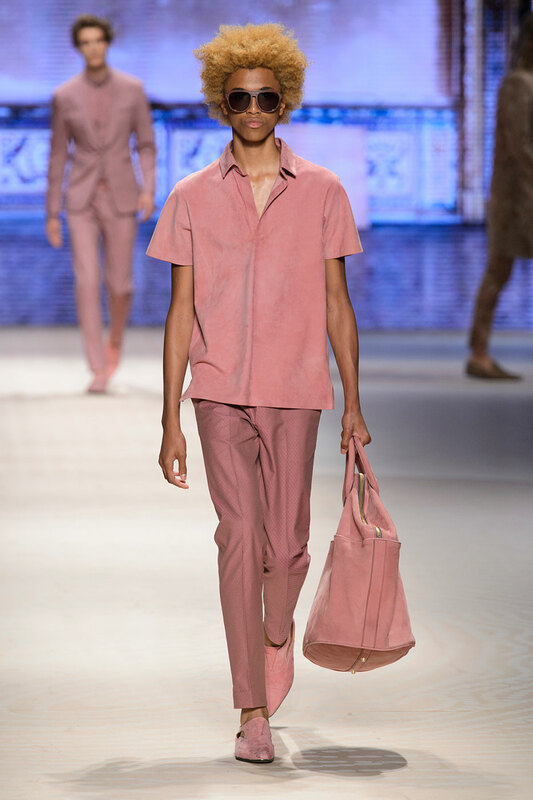 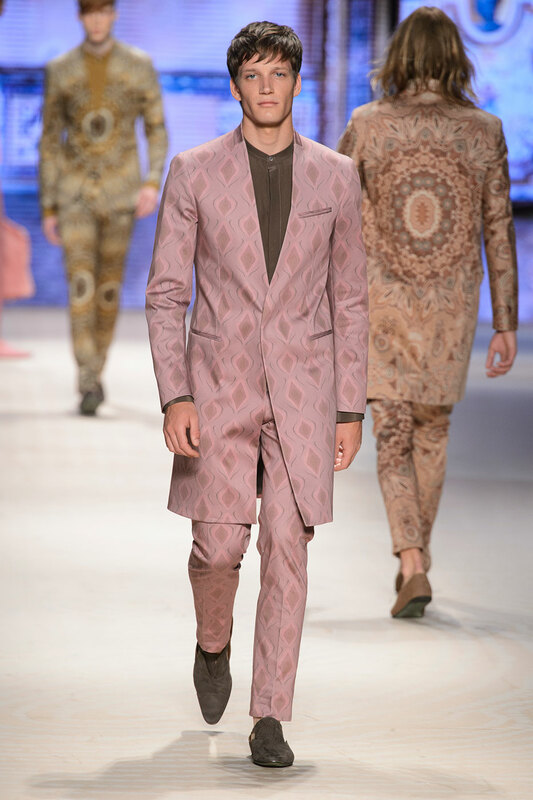 Blushing pinks , beige and taupe stride up and down the catwalk , each individual piece tailored to a T, to accentuate the breathtaking simplicity of Eastern cultural heritage. 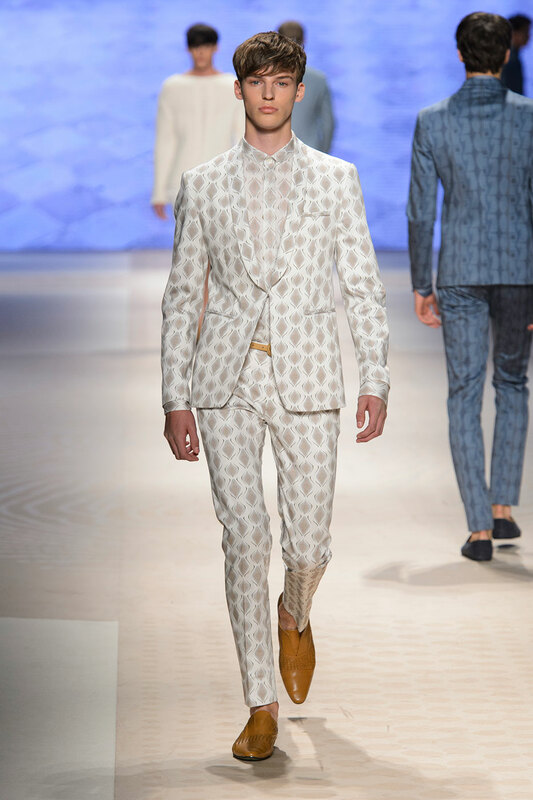 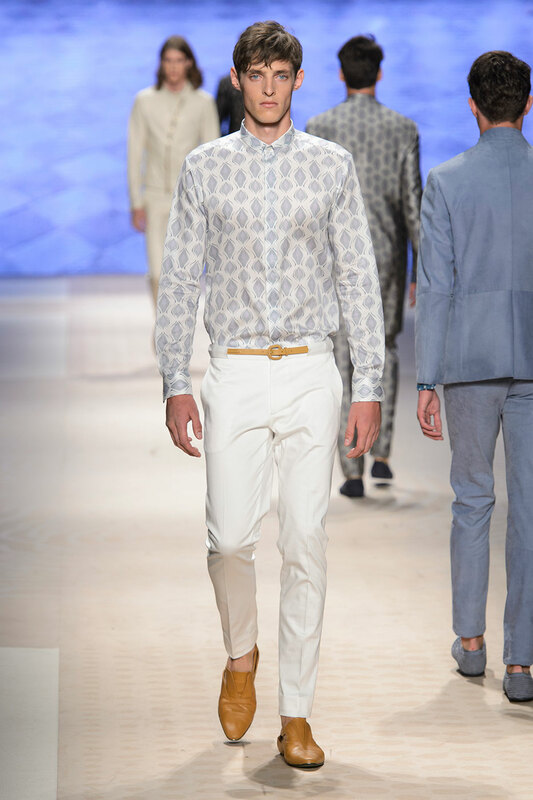 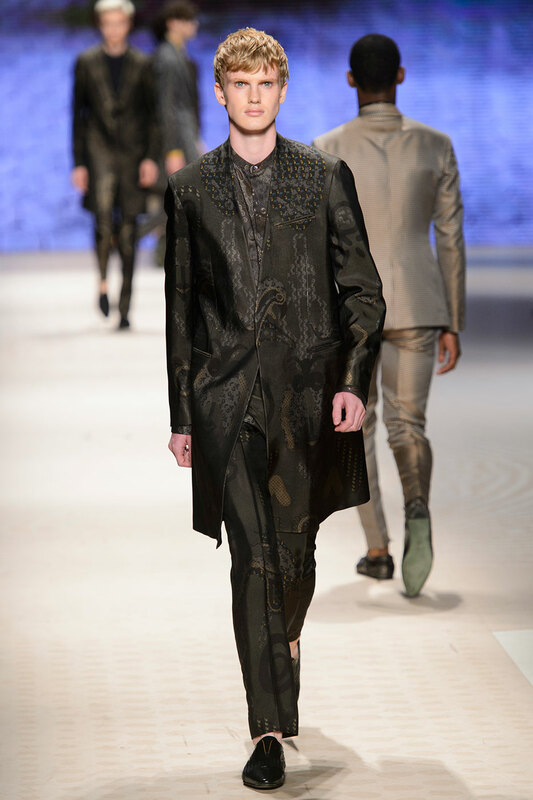 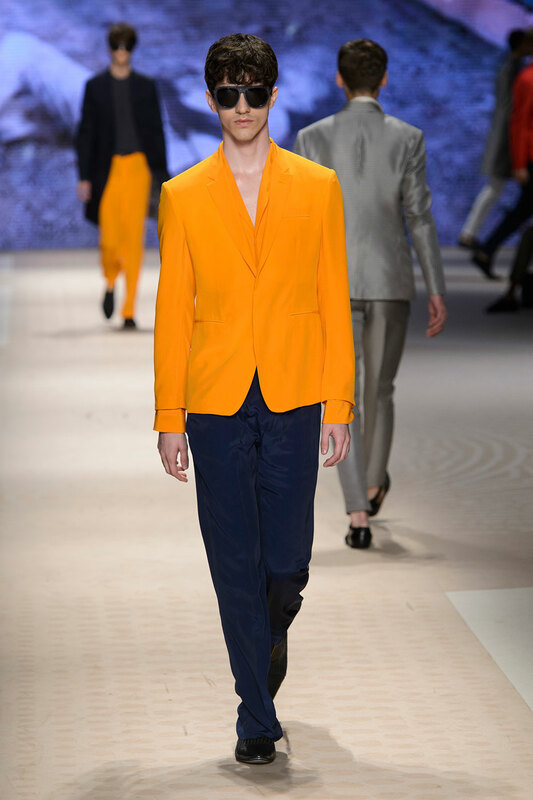 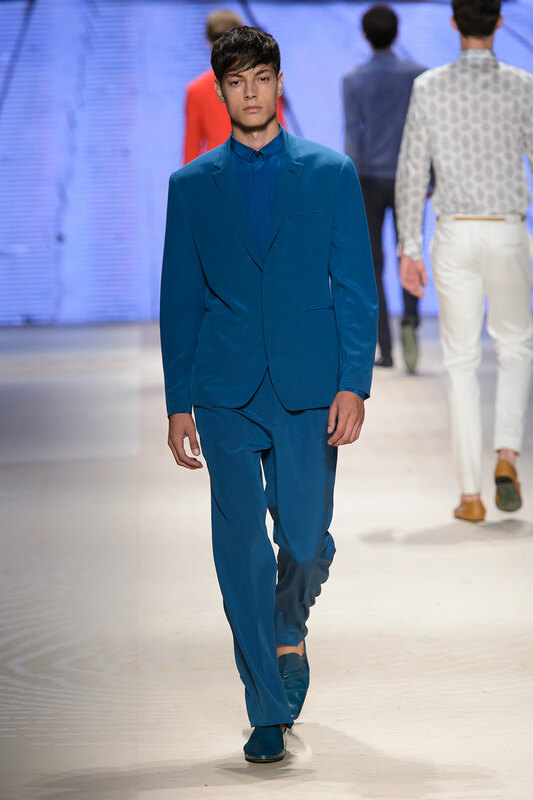 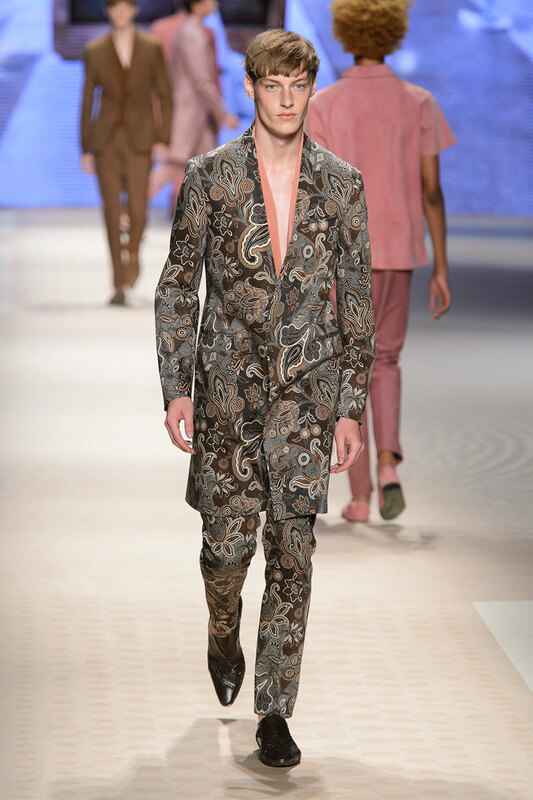 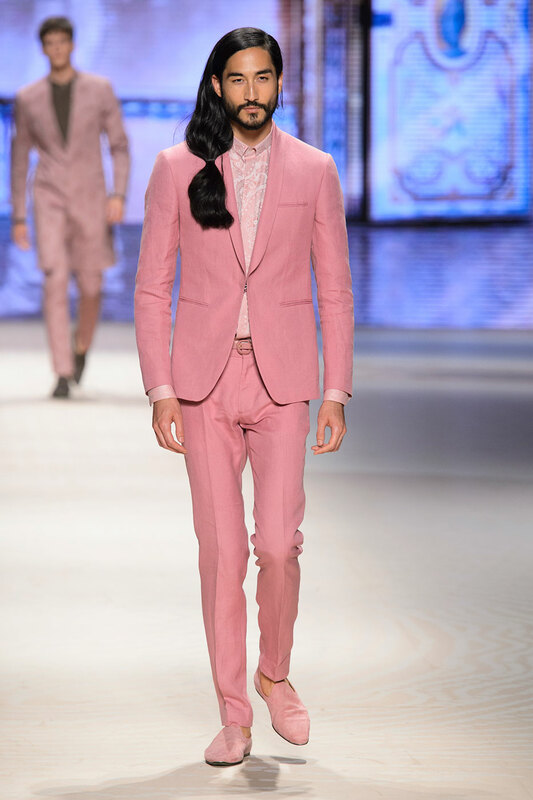 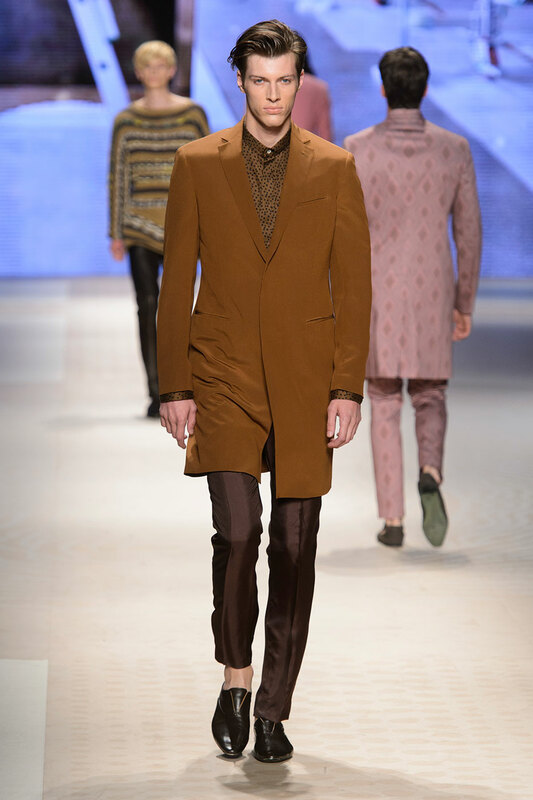 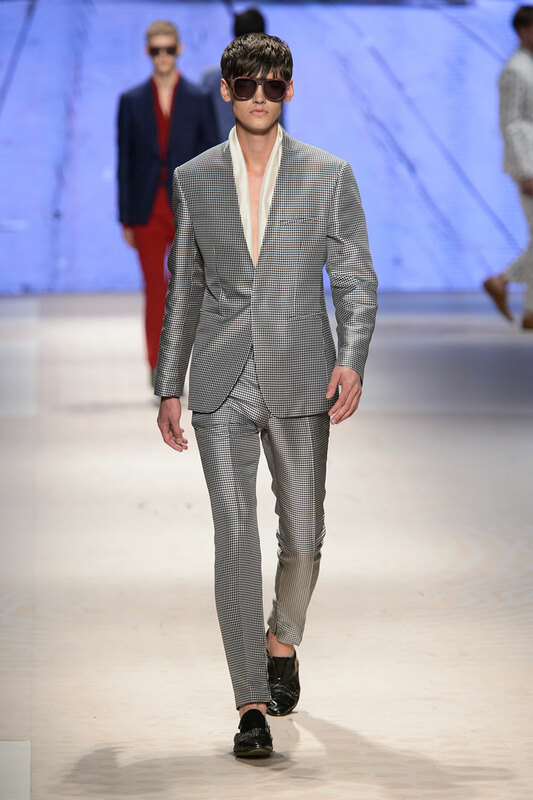 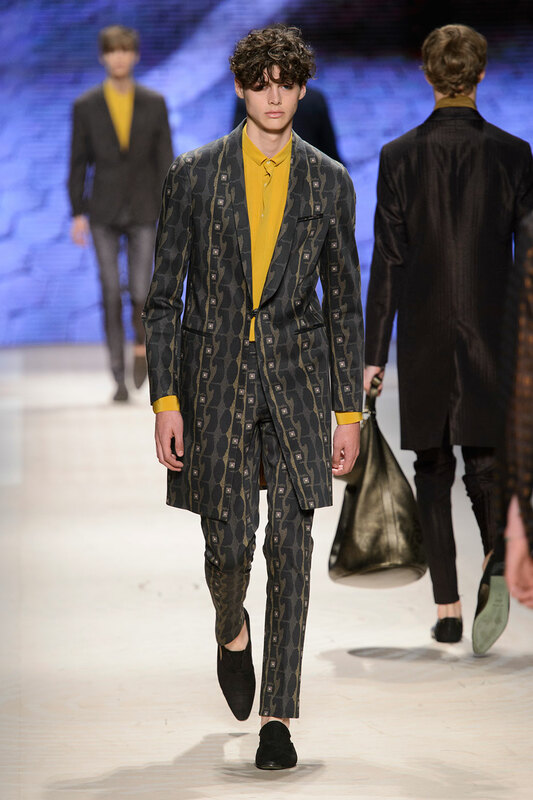 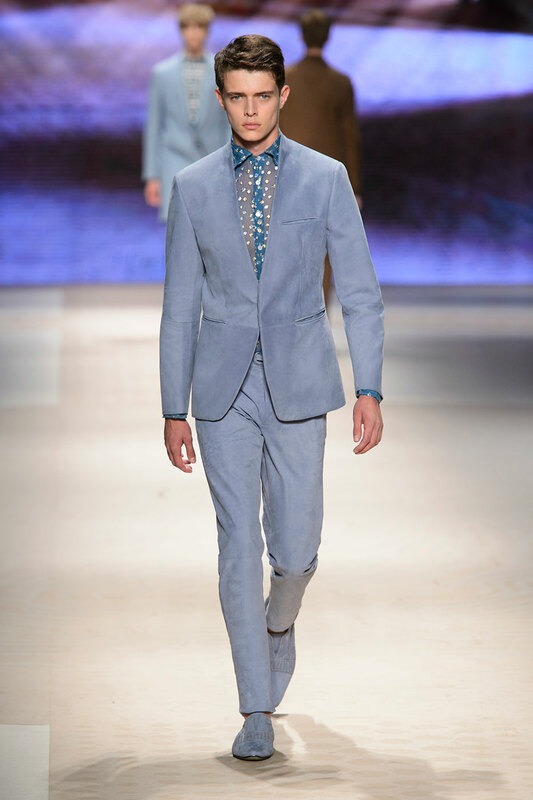 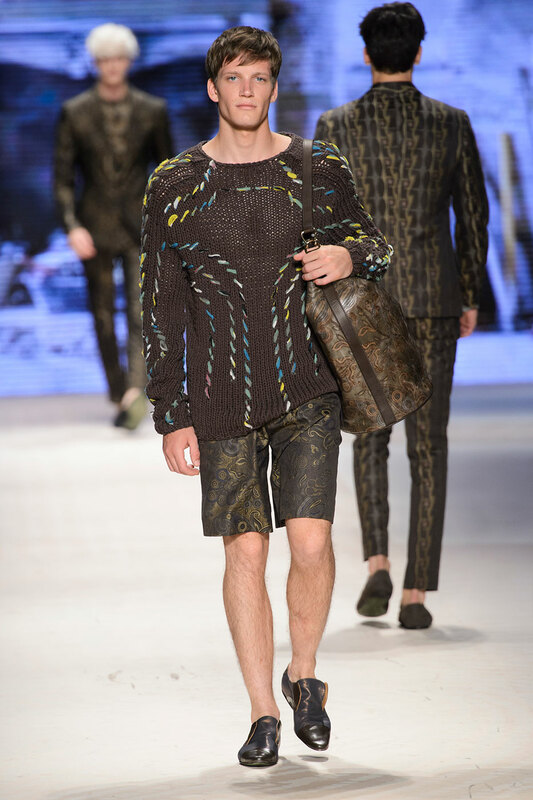 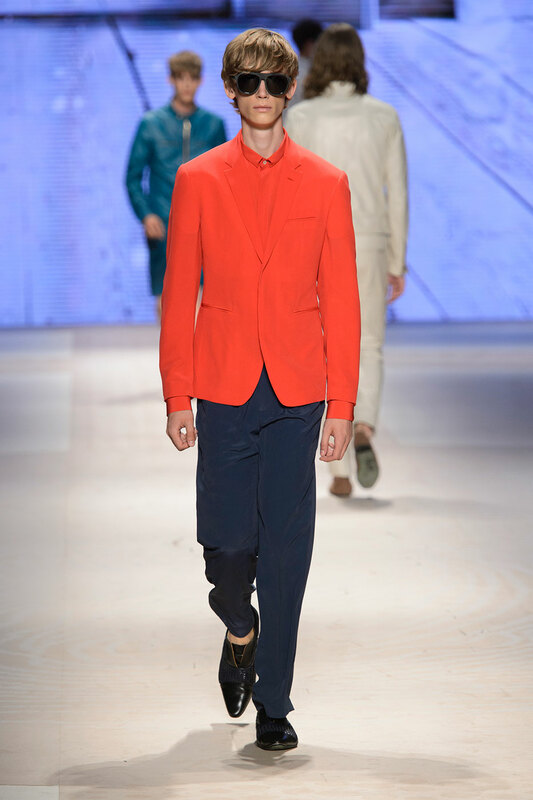 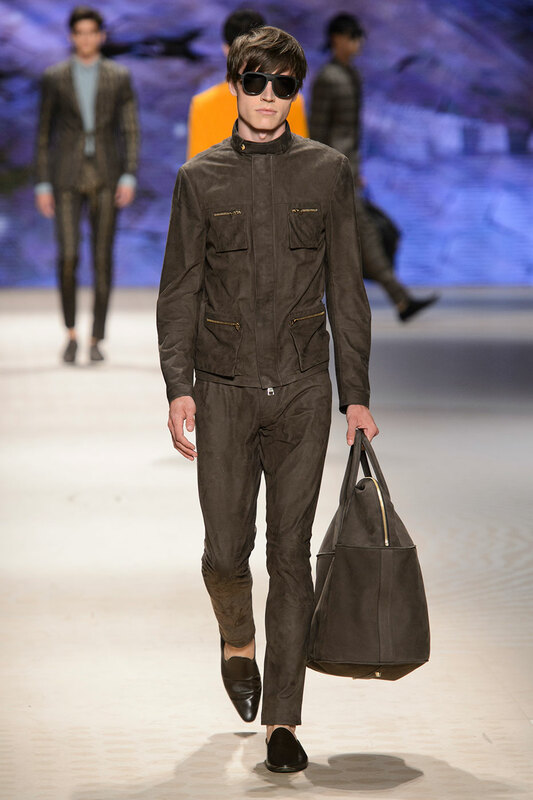 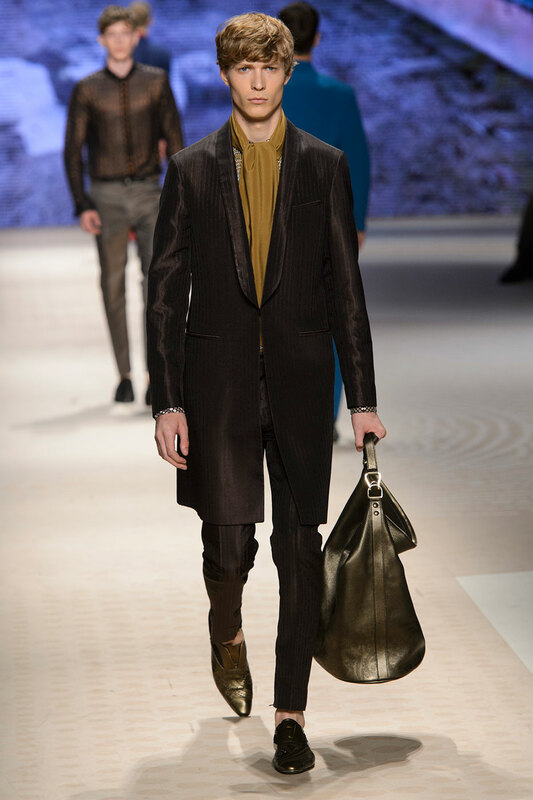 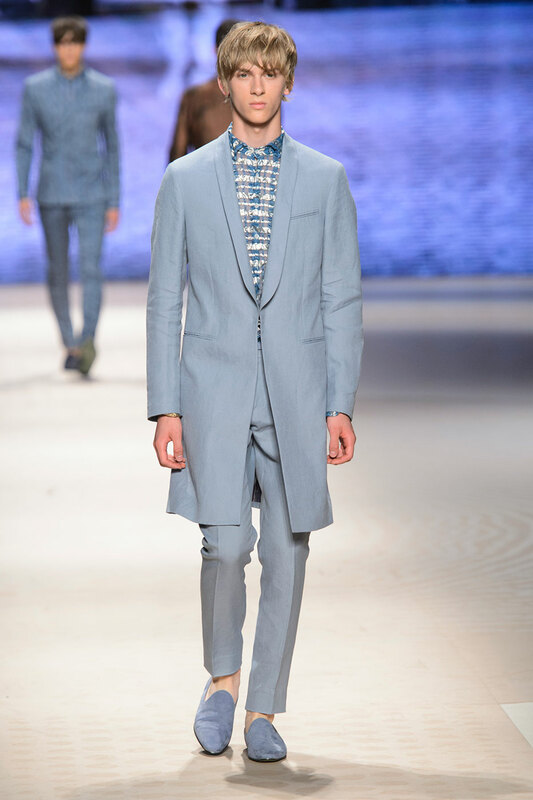 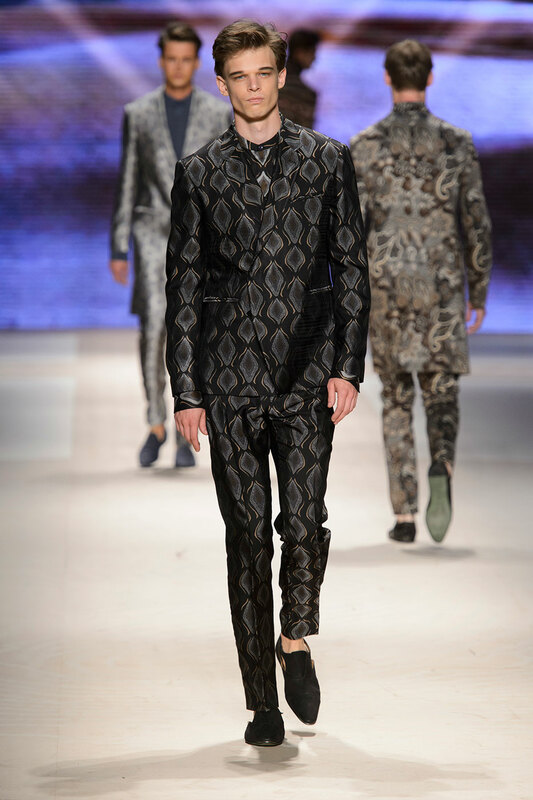 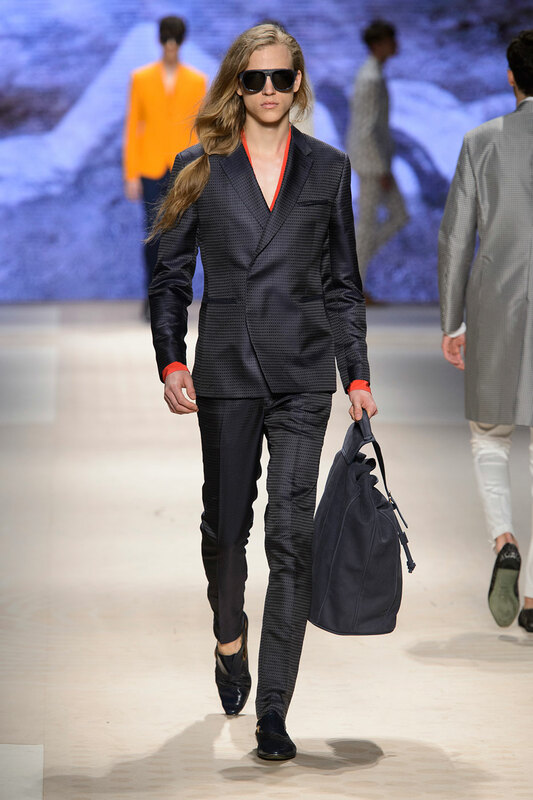 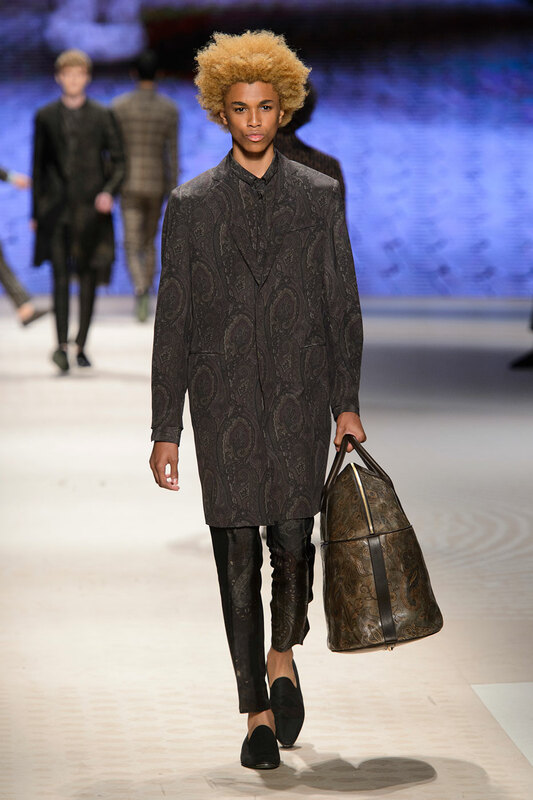 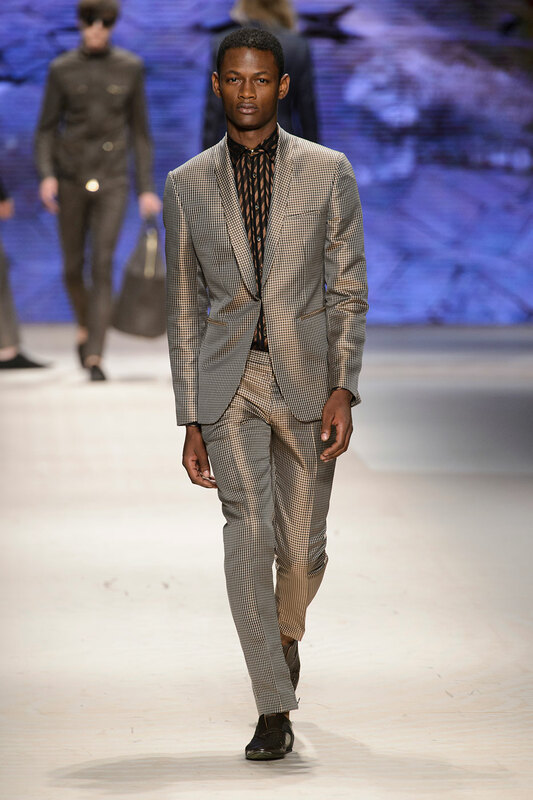 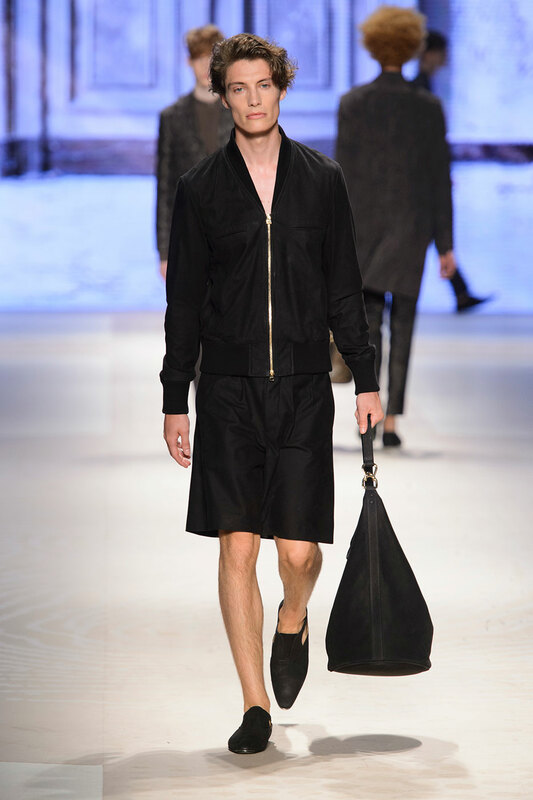 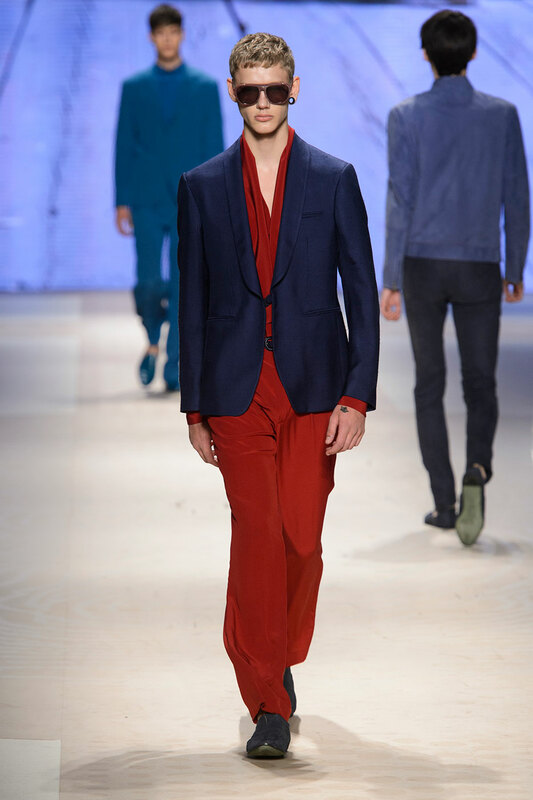 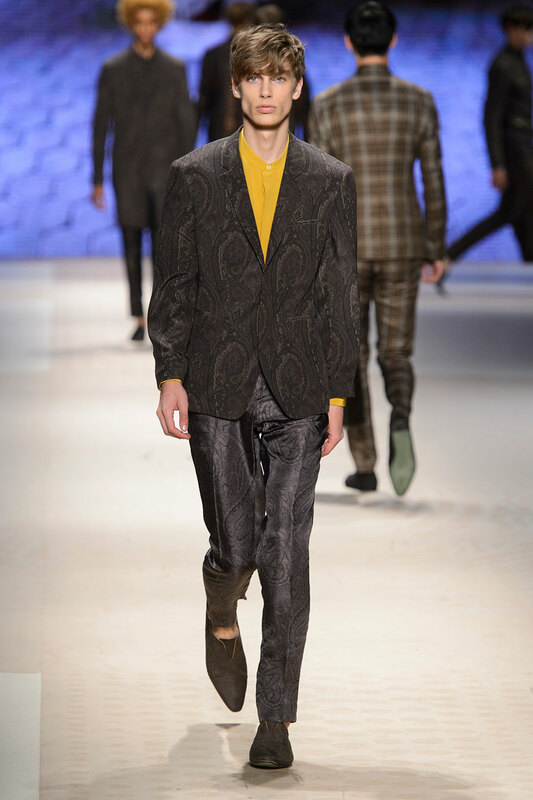 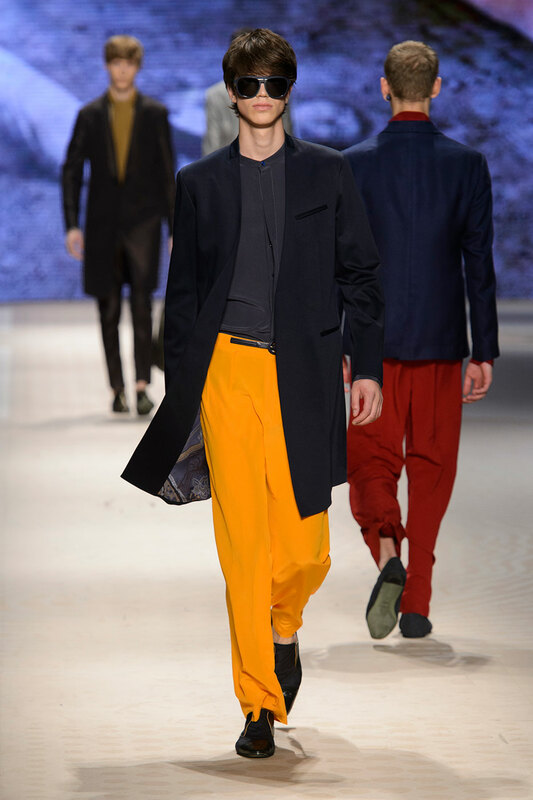 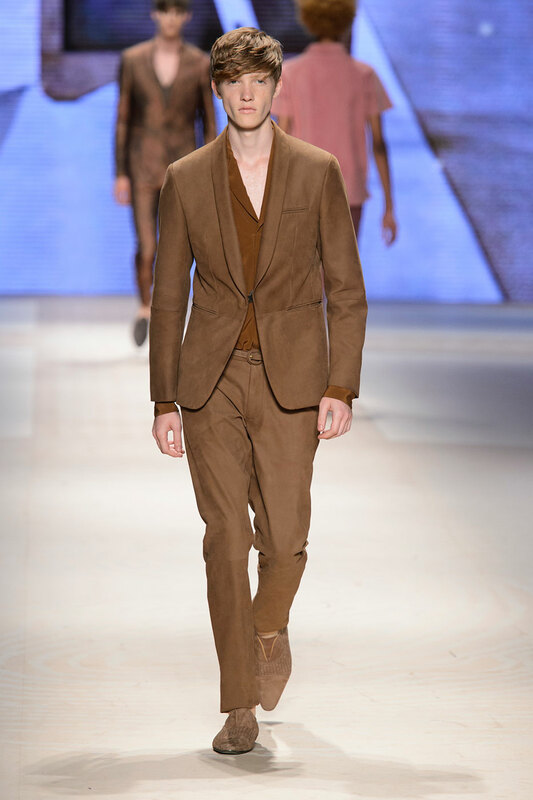 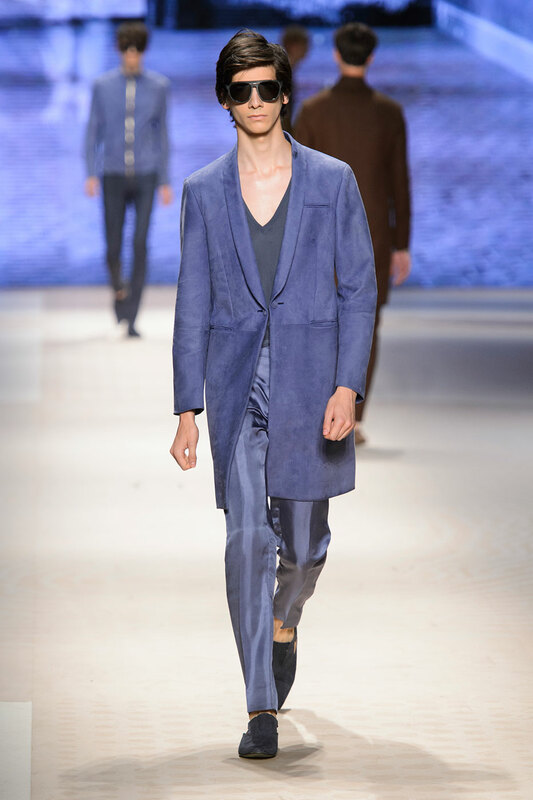 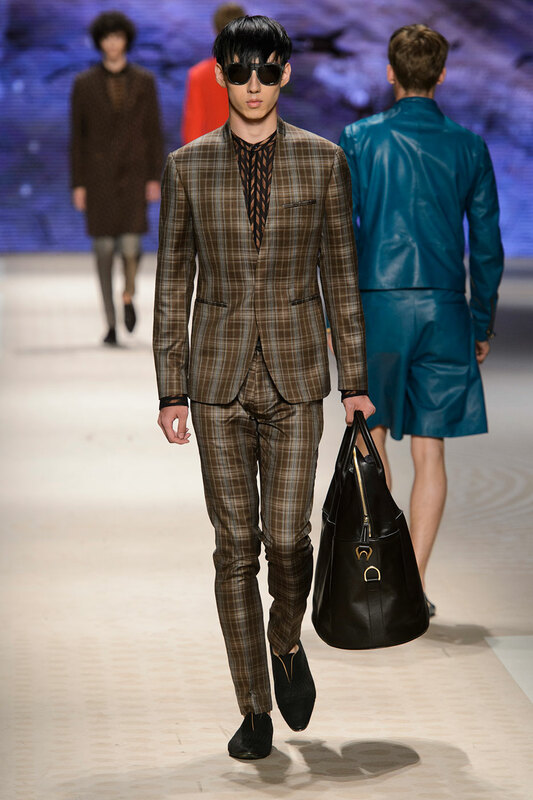 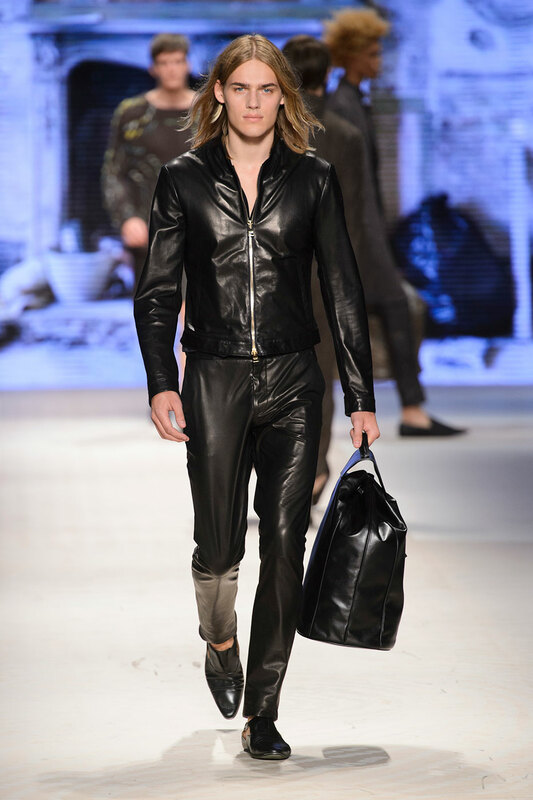 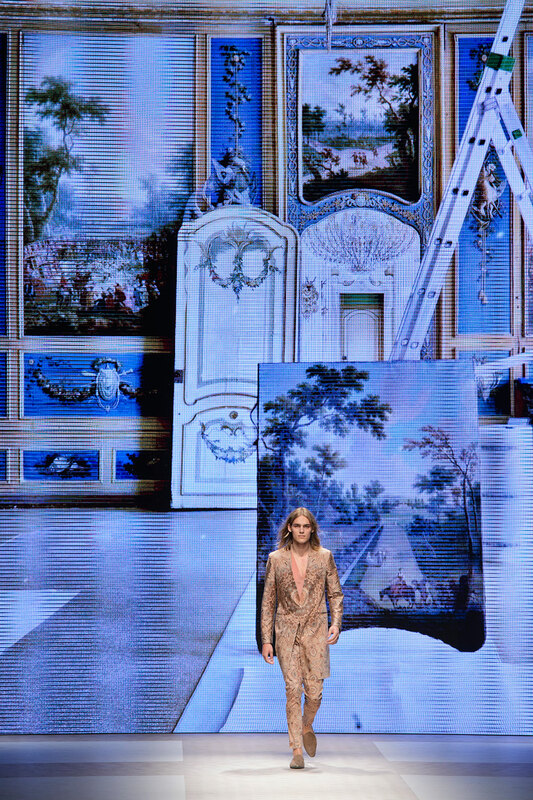 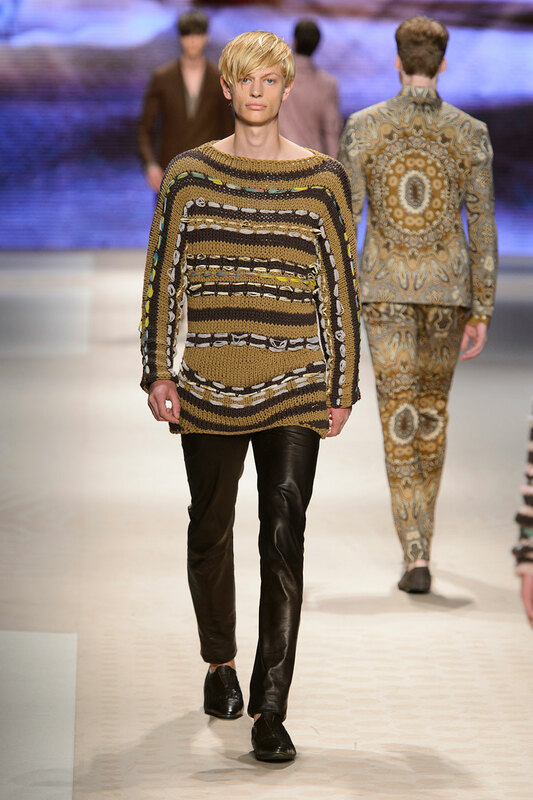 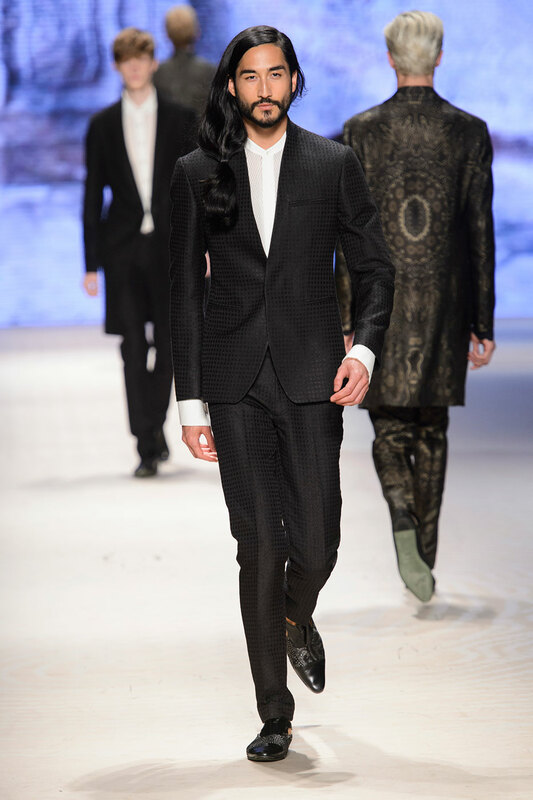 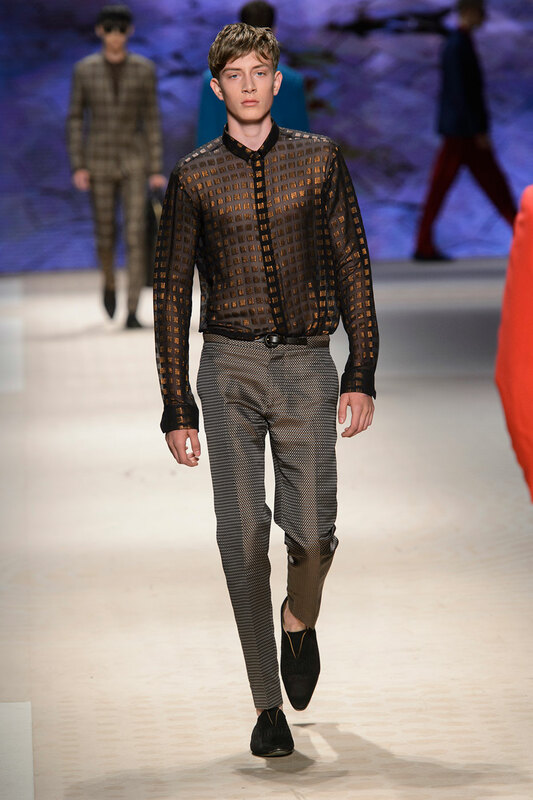 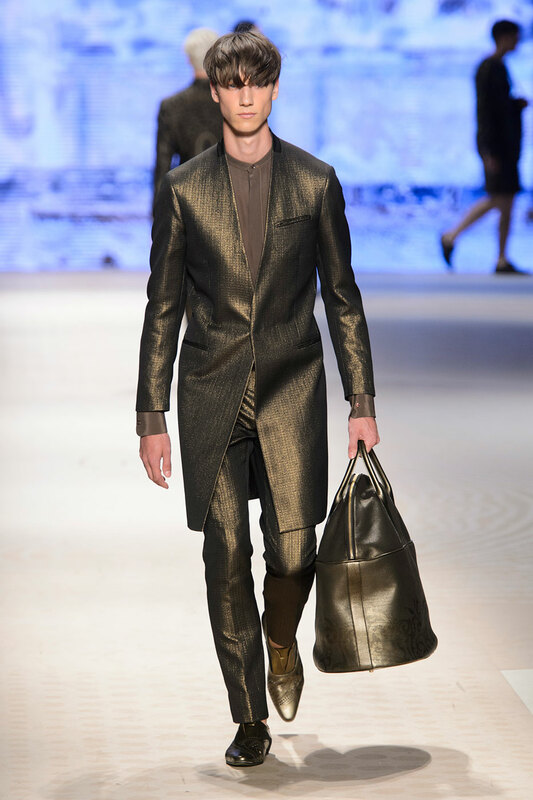 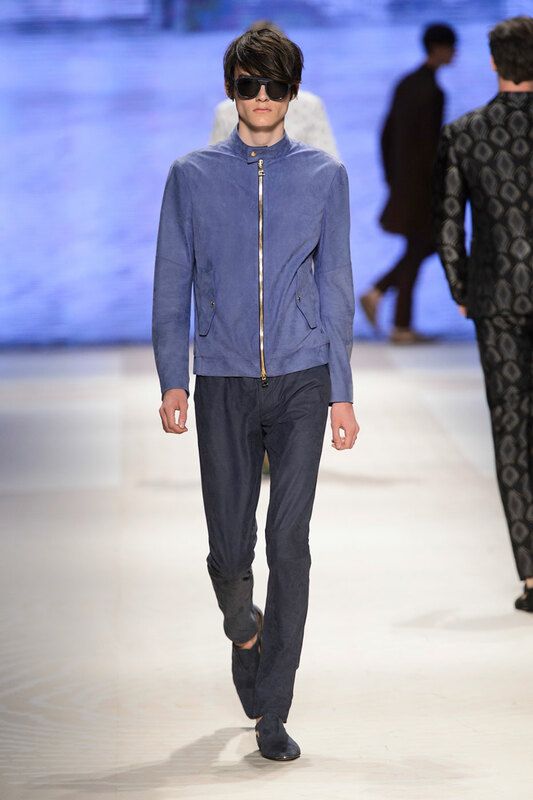 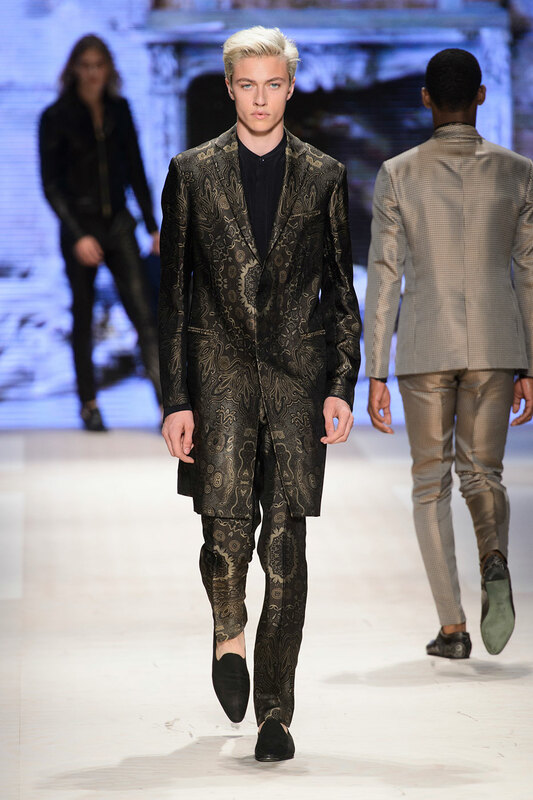 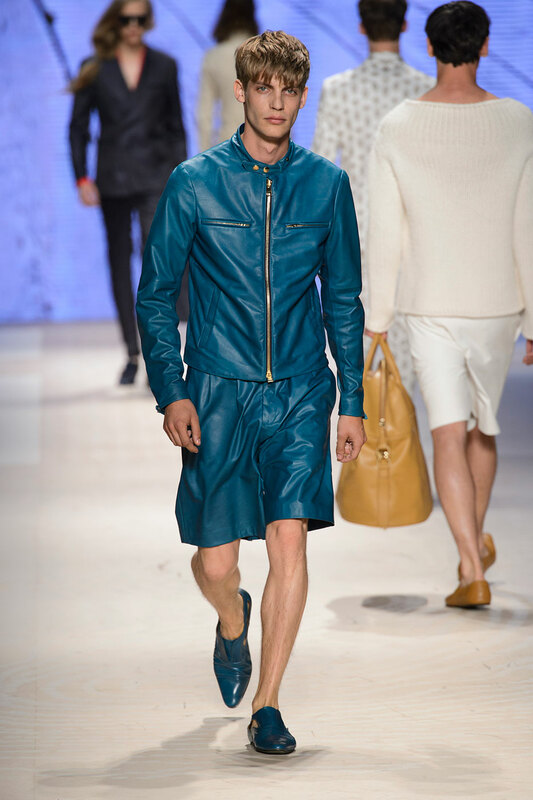 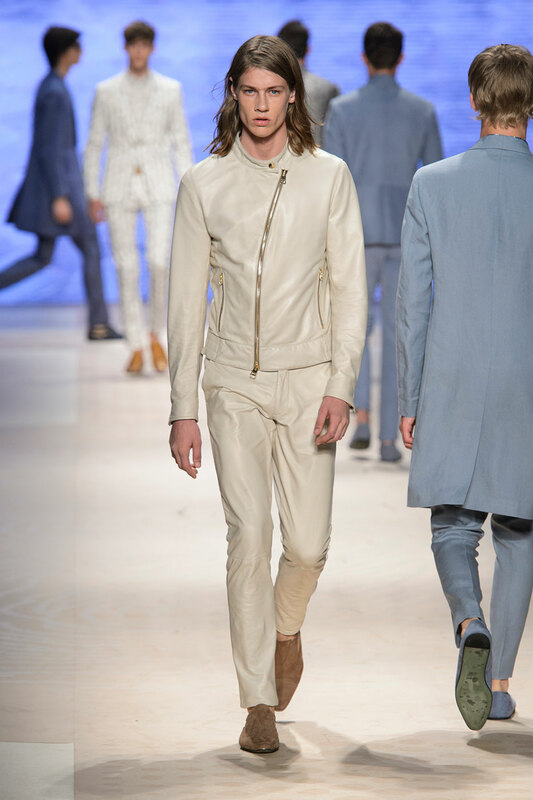 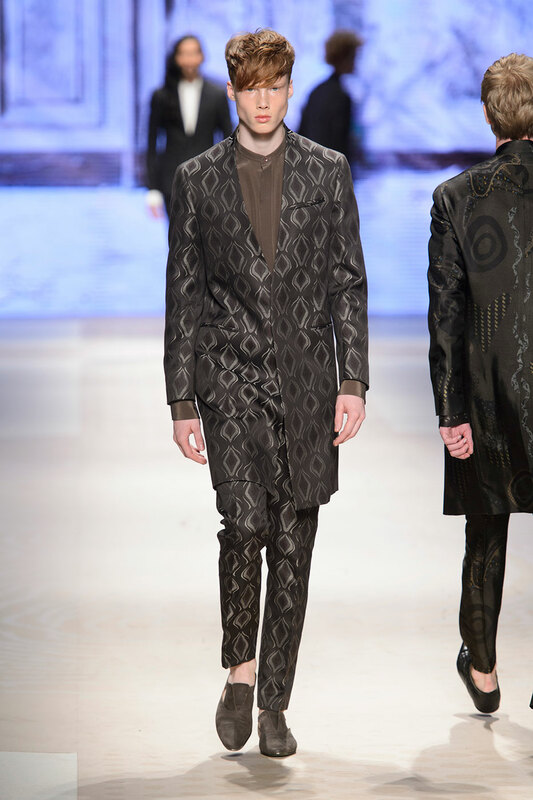 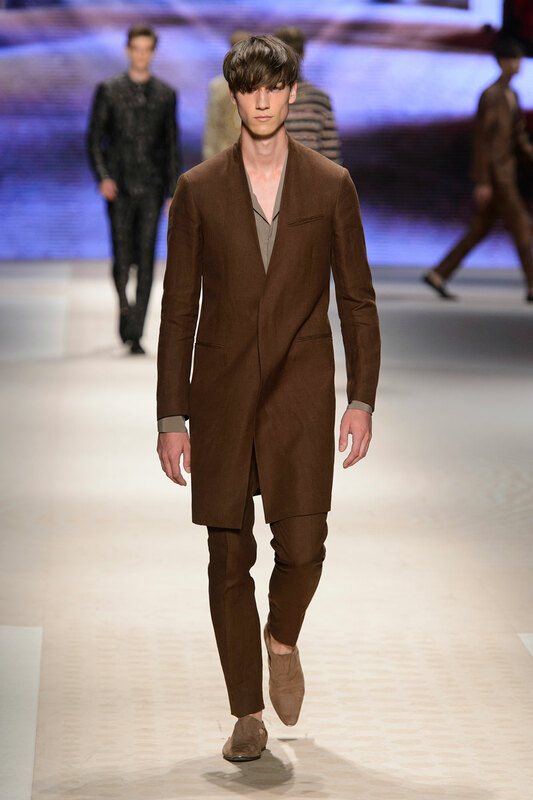 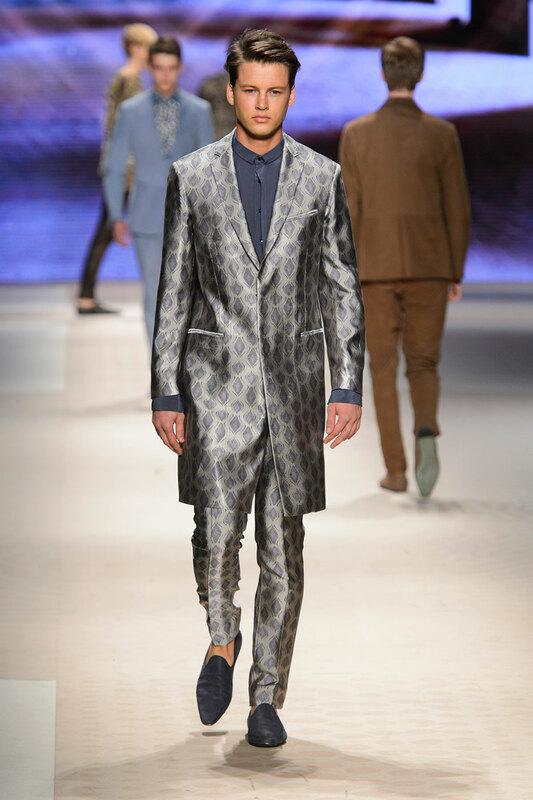 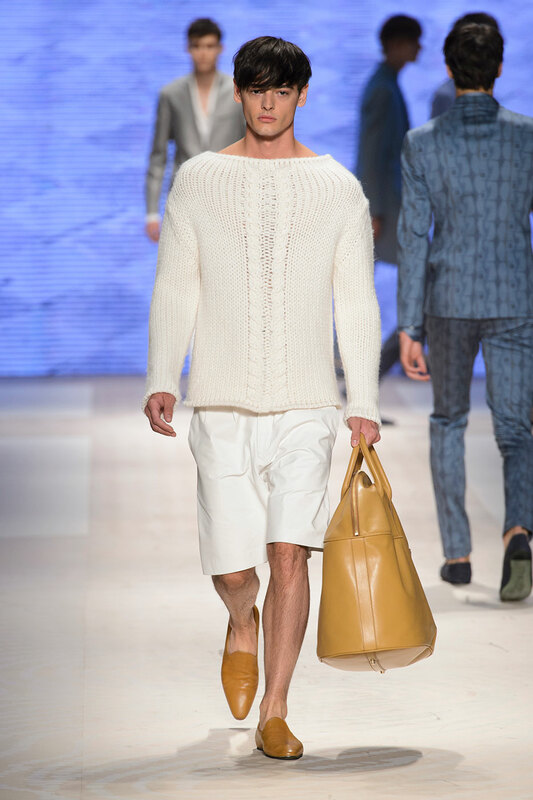 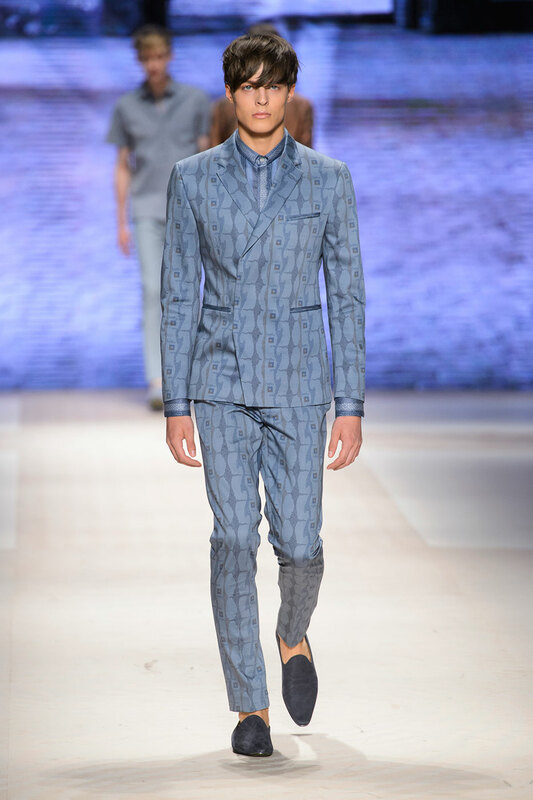 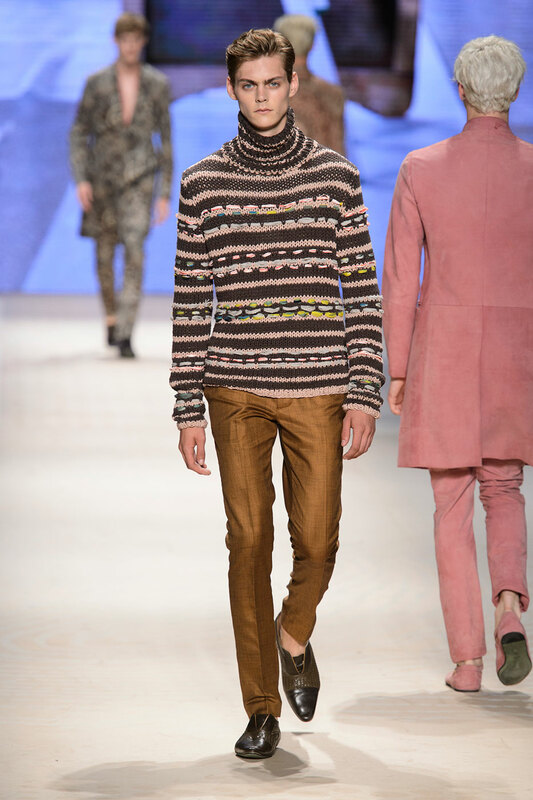 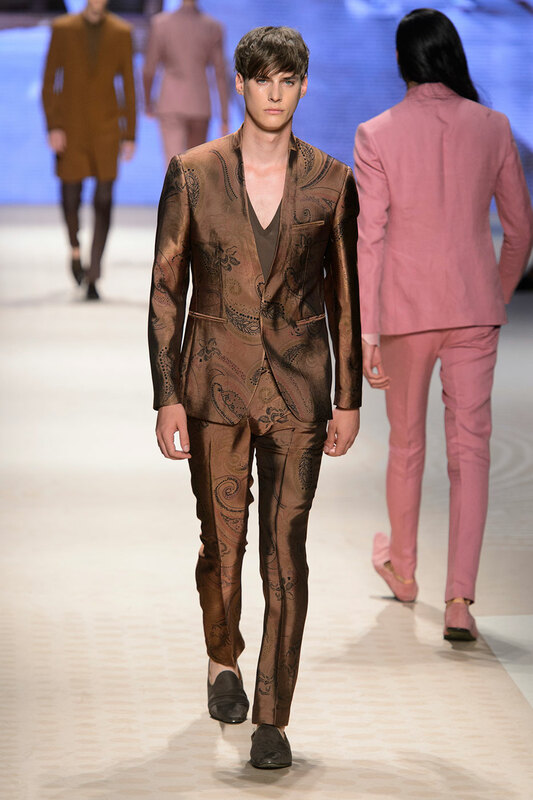 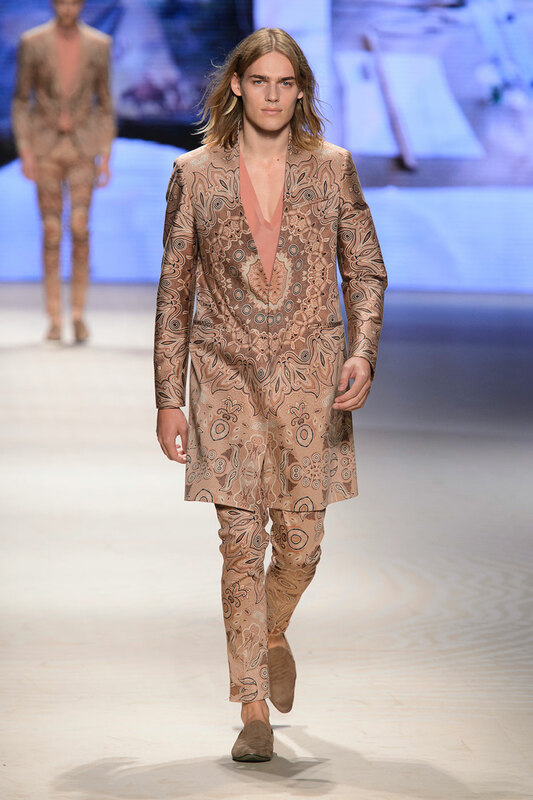 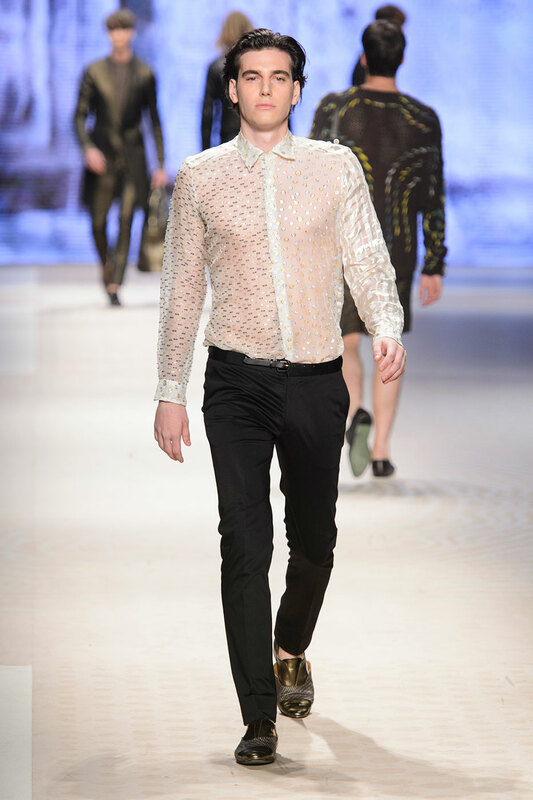 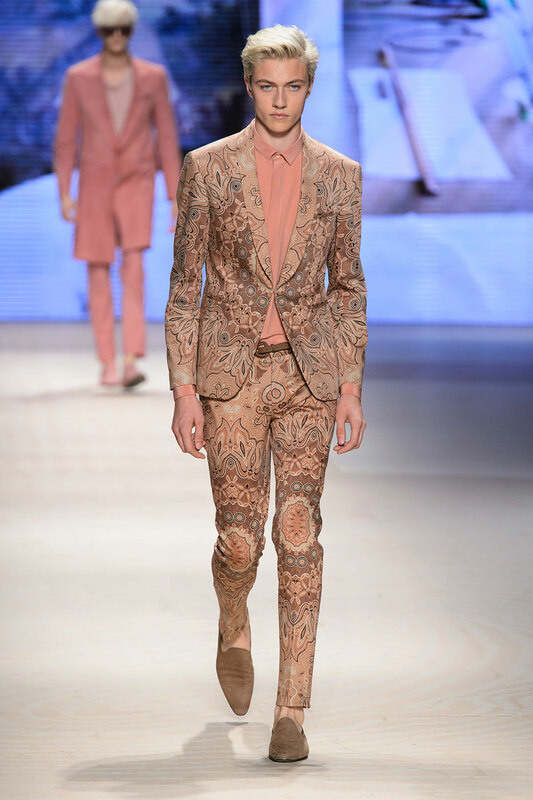 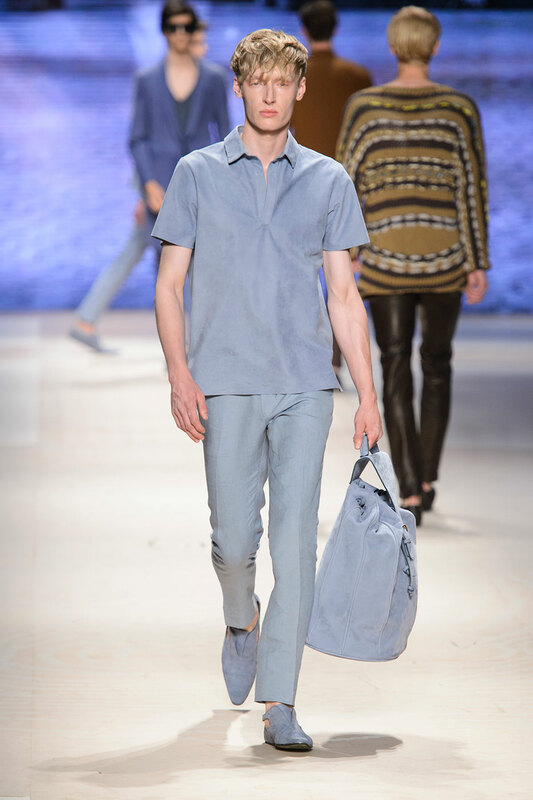 Kean Etro revealed that his collection was centered around the cyclical symbol of life- a paisley. 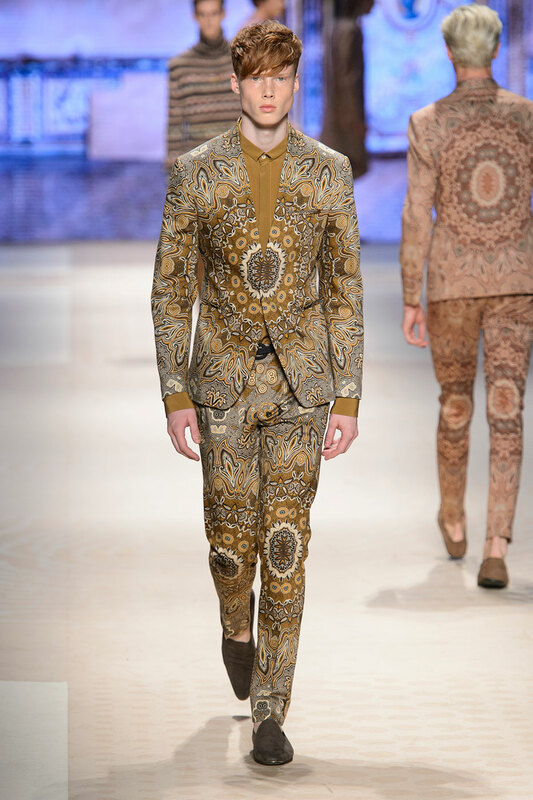 The paisley originates from Persian legend, where it became the icon for the ‘tree of life’. 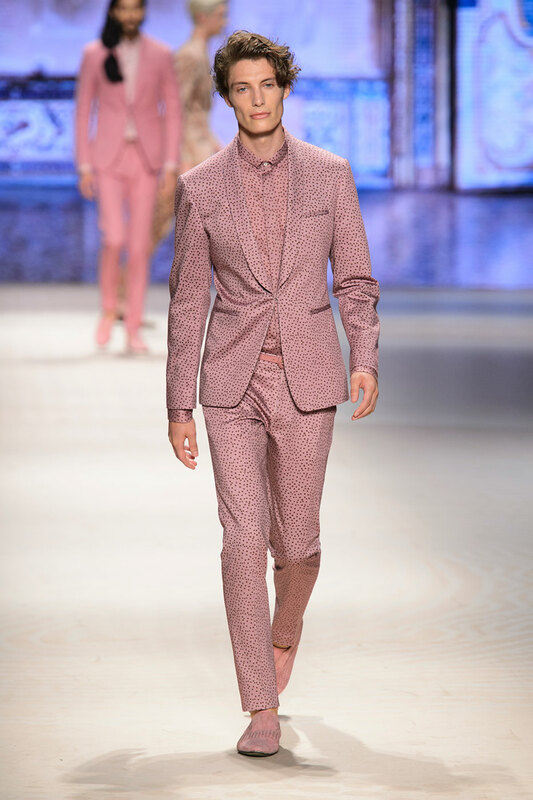 The ‘tree of life’ is depicted as a deep blush hue which transitions into midnight blue to embody the rise and the fall of an individual’s standing in society. 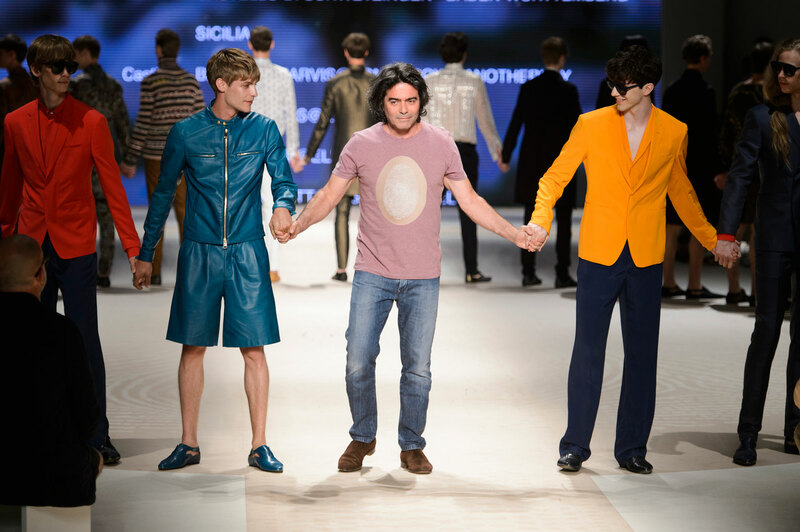 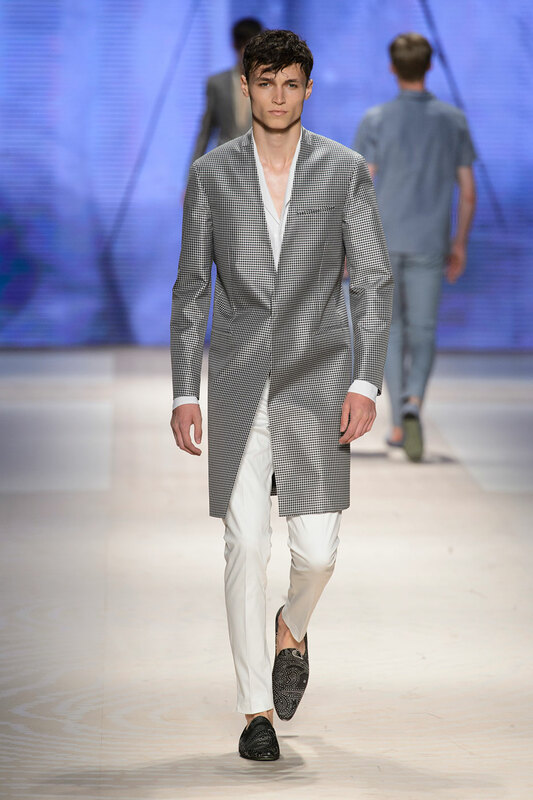 Unlike his SS15 collection that showcased a ‘functional cookery wear’ theme, 2016 fuses the norms , values and traditions of different cultures with a streamlined European vibe , to highlight the progression from rustic to modern wear.